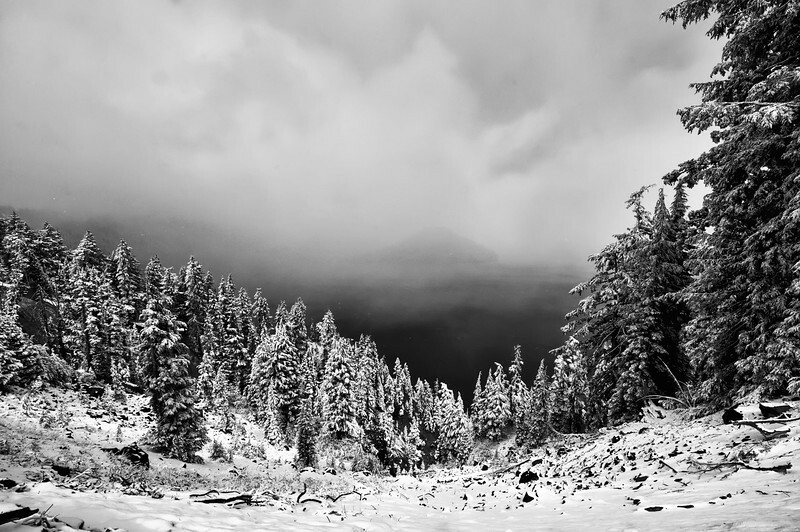 What may have been the first snow at Crater Lake, I'm not sure. I do know it made seeing the lake anymore than this just about impossible. They really get some serious snow! Shot Notes: I really agonized over posting the color or black and white version on this one. It's hard to beat that Crater Lake blue (see comments for color version) but the subject is perfect for black and white. If you have a preference, please do feel free to let me know.